Code and tools are provided "As Is" and without warranty. I maintain all intellectual property rights of the code and tools I write. If you reach out to me with a good idea, I'm free to use it. Ads let me keep the lights on, please do not use an ad blocker. All copyright, trade marks, design rights, patents and other intellectual property rights (registered and unregistered) in and on data·yze belong to the Sarah K Tyler and/or third parties. data·yze reserves all of its rights. By calling, or communicating with data·yze through email, social media or other direct means about data·yze or its apps, you are granting data·yze an unrestricted royalty-free authorization to display, adapt, or use such communication and the ideas within for the betterment of data·yze. YOUR USE OF THIS WEB SITE IS "AS IS." 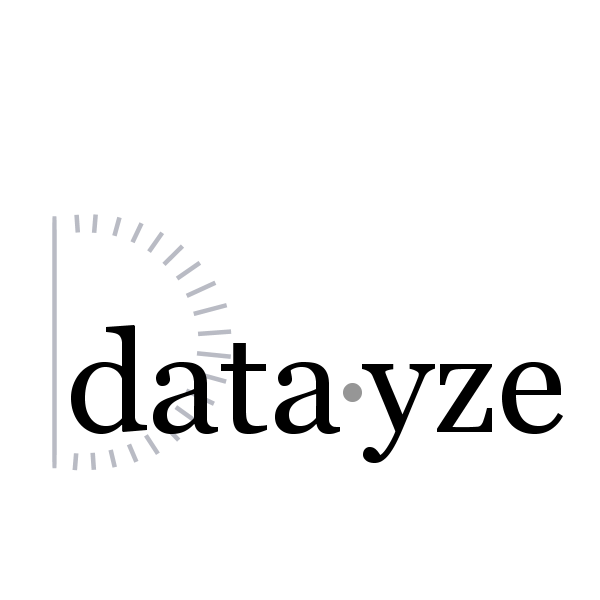 data·yze MAKES NO REPRESENTATIONS OR WARRANTIES, EXPRESS OR IMPLIED, ABOUT ITS SITE. data·yze MAKES NO WARRANTIES THAT ITS SITE IS ERROR FREE, AND WILL NOT BE HELD LIABLE IN ANY WAY FOR YOUR USE OF IT. data·yze RESERVES THE RIGHT TO ALTER OR DISCONTINUE ANY ASPECT OR FEATURE OF THIS WEB SITE AT ANY TIME. This website is supported through third party advertisements and affiliate links. All advertisements and affiliate links and are properly labeled, and care is taken to make sure they are as unobtrusive as possible. By using our apps you are agreeing to be shown ads. Use of an ad blocker is considered a violation of our terms of service. These Terms and Conditions constitute the agreement and understanding between you and data·yze as to your use of the data·yze Web site, superseding all prior or contemporaneous communications. Terms subject to change at any time without warning.